Mental health diagnoses—such as depression, anxiety, dementia and substance abuse disorders—can significantly affect patients with end stage renal disease. Listen to this podcast, in which Kathryn Aebel-Groesch, LCSW, and Deborah Evans, LCSW, discuss the most common mental health concerns for patients with end stage renal disease and ways that clinicians can help patients with these concerns successfully adjust to dialysis and maximize quality of life. Kathy Aebel-Groesch, LCSW, is a manager of social work services at DaVita Kidney Care, where she develops education and training for staff and patients. 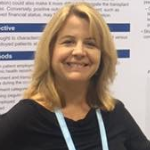 A nephrology social worker since 1995, Kathy’s areas of interest and publication include depression screening and counseling, psychosocial interventions to support end stage renal disease patient adherence and interdisciplinary collaboration. Kathy is on the editorial board of Nephrology News and Issues and serves on the Advisory Council of Dialysis Patient Citizens and the executive planning committee of the Annual Dialysis Conference. Kathy is a graduate of the Brown School of Social Work at Washington University and resides in St Louis, MO. 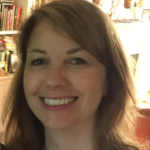 Deborah Evans, LCSW, is a manager in DaVita's social work department and helps to oversee training, support and project management for more than 1,800 social workers across the country. Ms. Evans is involved in various workgroups and projects, including the Empowering Patients Program (which utilizes cognitive-behavioral and mindfulness techniques to improve patients’ quality of life and adherence to treatment) and Life Connections (a pilot that assists patients with vocational goals and challenges). She also edits and provides content for social work publications, training and support. Deborah worked in mental health for several years before coming to DaVita in 1996. I feel that the KDQOL and PQ2 would be most helpful if done at the time of the assessment. Then, print out the results of the KDQOL before the care plan meeting and attach results to the care plan and review the results as part of the annual care plan meeting. The integration of the survey results should be part of the care plan IDT analysis and patient progress. This would help expand the SW role in the meeting as well as giving insight into areas of timely and relevant psychosocial issues, which we all know are constantly changing/evolving. The KDQOL information process is currently being underutilized. Thank you for your thoughtful response. We agree that depression screening and KDQOL results should inform the interdisciplinary plan of care; incorporating them with the 90-day and subsequent psychosocial assessments is an excellent practice!